Time, date, day and alarm are displayed in red LED light, making it perfect for both indoor and outdoor activities in day and night. The oversized octagonal crown is easy to hold, as a user-friendly feature. Indexes and second hand in white are applied, together with the full black dial, cool dark visibility is created. Hour and minute hands red applied with luminescent markers which show green light at night. 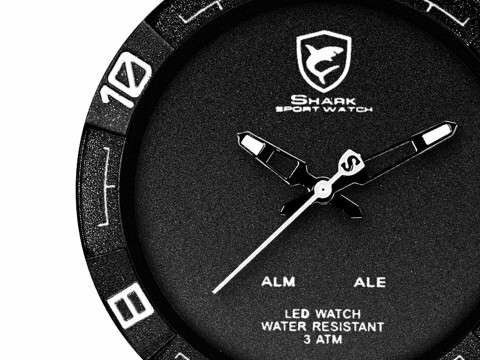 Printed “SHARK Sport Watch” logo at 12 o’ clock. As an analog and digital watch, it supports two different time zones, one displayed by analog, another one set in digital LED display. Military 12/24 hour, day, date and alarm displays in LED, making it a perfect choice for daily, outdoor activities. 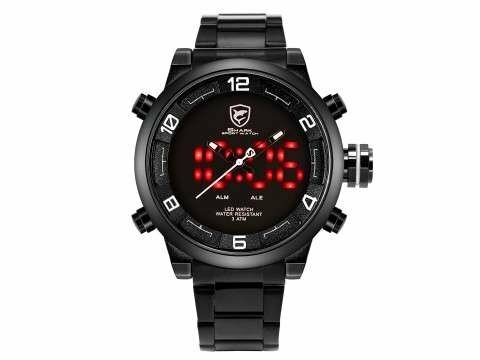 50mm big-case digital wrist watch for men. 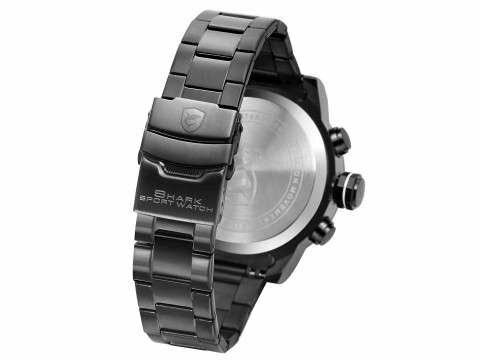 Oversized, easy-to-hold octagonal crown with carved “SHARK Sport Watch” logo. 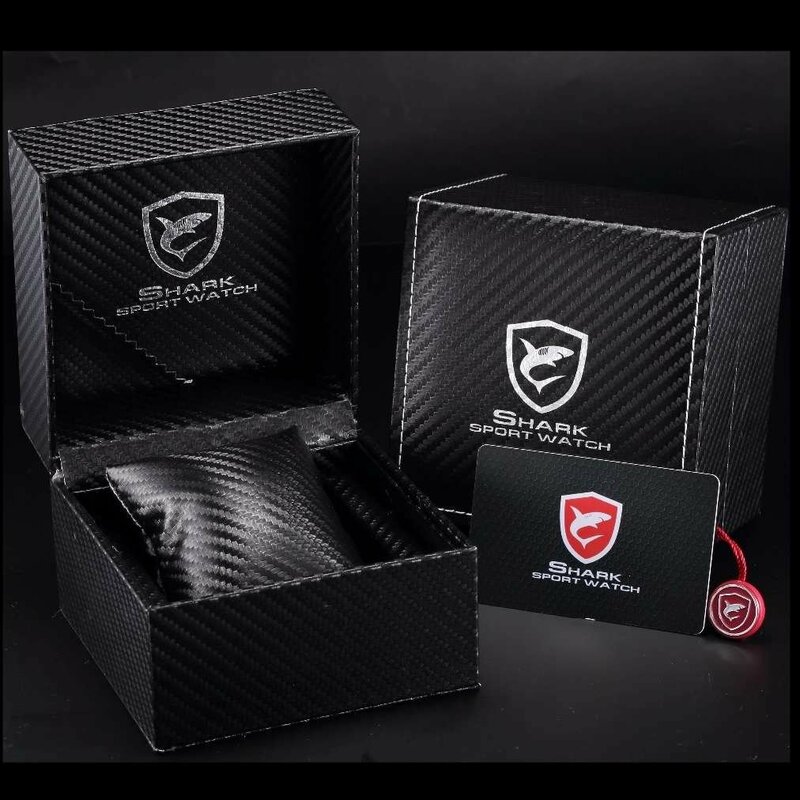 Four buttons on the case are designed to separately control and adjust the time, day, date and the alarm time. 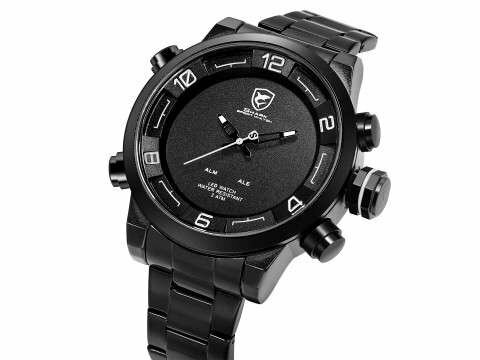 Full black stainless steel bracelet creates a tough look and makes it cool for men. Stainless steel band is tear-resistant, highly durable and wears well in all kinds of weather. 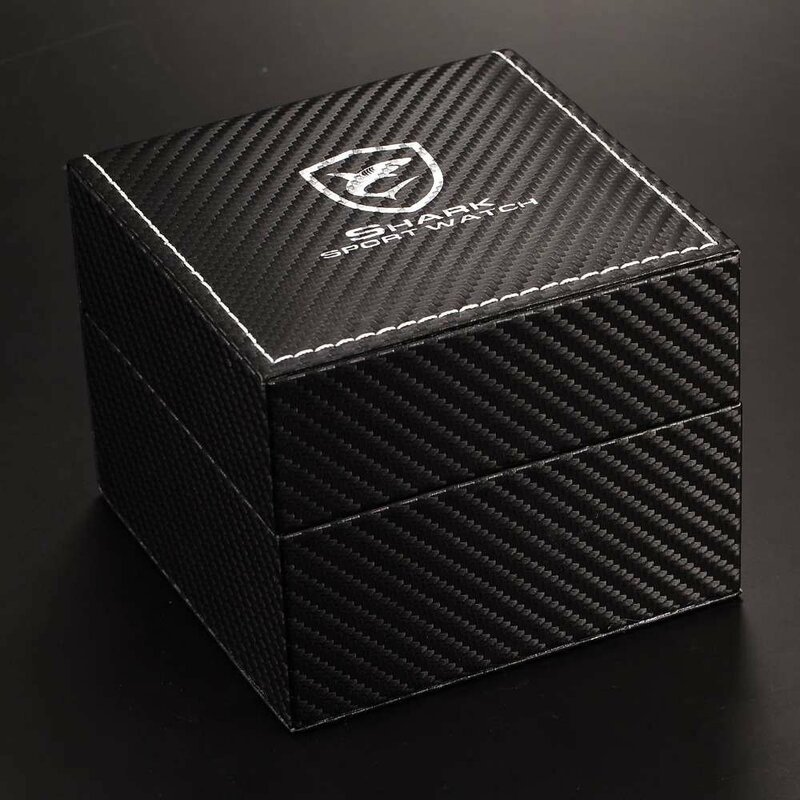 Safety clasp lock with shark logo engraving for all kinds of movements.